Map of part of India, and a small part of Sri Lanka, showing the Mughal empire and its successor states. Relief shown pictorially. From the Gentleman's magazine, London, March, 1767. Detached from: The gentleman's magazine, and historical chronicle. Volume XXXVII: for the year M.DCC.LXVII. London: Printed... for D. Henry, . 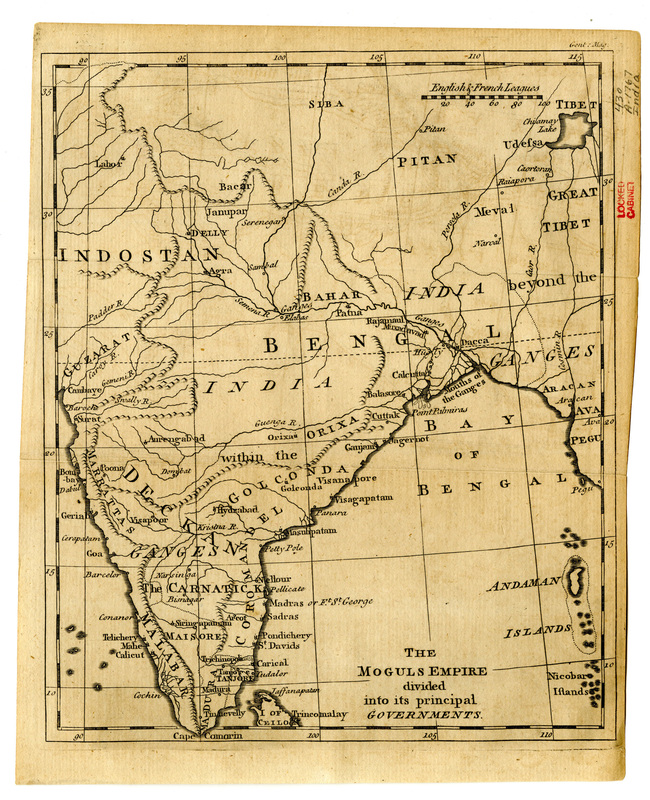 Map was originally published in the March 1767 issue, following page 98. "Gent:Mag." Scale approximately 1:11,600,000.